Tony Romo Absurd Chip Shot ... From Hospitality Tent!!! 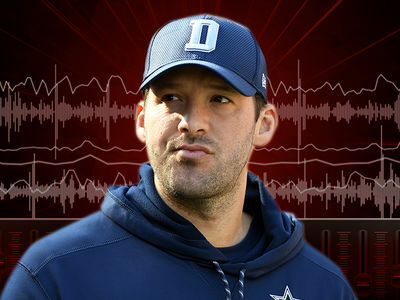 Tony Romo ... Romostrodamus ... Tiger Romo??!?! It might just stick ... 'cause the ex-Dallas Cowboys QB-turned-superstar-broadcaster just hit the most INSANE golf shot you'll ever see an amateur hit!!! Romo's playing in the AT&T Pebble Beach Pro-Am this week ... and smacked his tee shot Friday at the Par-4 15th hole into the course's hospitality tent. 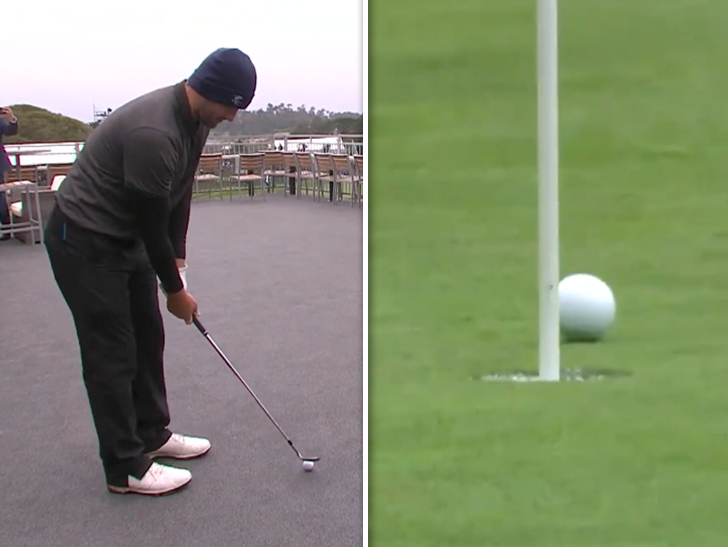 Normally, players get relief -- take a drop ... and hit their shot from actual grass. But, Romo had different ideas -- and decided to take his wedge out ... AND HIT THE SHOT FROM THE TENT'S CARPET!!! 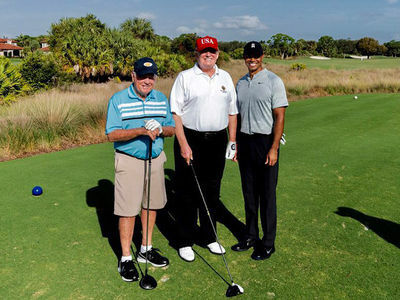 What happened next was just absurd -- HE STUFFED THE BALL WITHIN A FOOT OF THE HOLE!!! Romo tapped in for a birdie ... and NOBODY could believe what they just saw. Tony had a tough time winning while he was with the Cowboys ... but, clearly, dude just CANNOT lose in retirement!! !